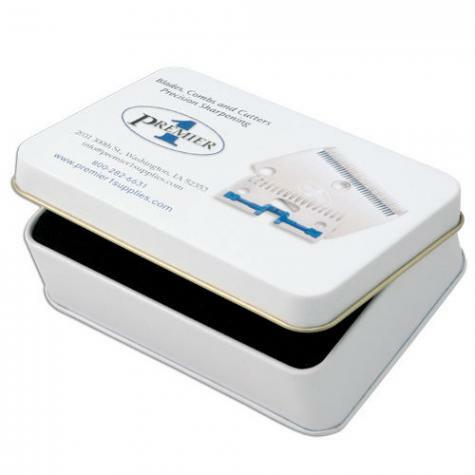 Keep expensive blades clean, safe, lubricated and organized. Blade box only, blade sets sold separately. 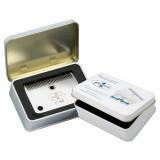 Note: Blade box comes FREE with purchase of blade set. 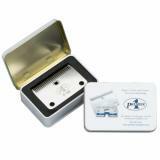 Has pre-fitted foam piece for maximum protection of blades. #10 White Clipping Oil, 4 oz btl. A high-quality clipping and shearing oil to lubricate blades, combs & cutters. Removes hair and fiber very close to the skin. Cutting depth of 0.02". Large blades for clipping machines. Cutting depth of 0.04". Pre-sharpened by Premier. For trimming hair, wool and fiber on show animals. Cutting depth of .06". For removing hair, wool and fiber from livestock. 0.8" cutting depth. Remove fiber, hair and wool from livestock with easy. Fits large clipping machines. Can be resharpened. This carrying case protects your clipping or shearing machine and accessories from damage. Internal pre-molded tray hold everything in place. Clipping blade set that has a cutting depth of 0.25". The added cover protects livestock form sun and the elements. I love the boxes for my blades the only thing I would change if it was possible to order the insert to fit the shear master blades I have.